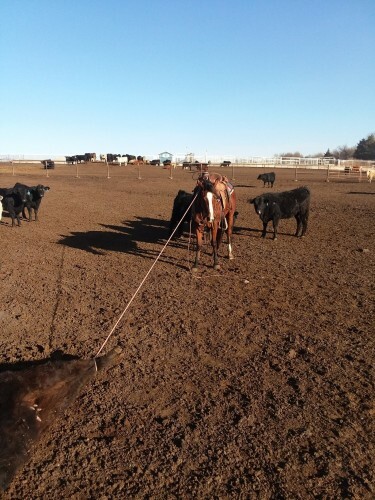 3 yr old grade bay mare that stands 15.1h. Been in the feedyard 45 days and roped a few as well. Would make a great head horse or barrel horse with alittle time! Very soft in the mouth and starting to stop and do great roll backs and turn arounds! Sells as grade but is out of a doc olena mare, Call or text 785 366 3664 Thanks!